For details, please refer to Hong Kong Arts Centre official website. Online registration at Hong Kong Arts Centre official website. Still remember the game of hide-and-seek? You can actually play it on paper! The numerous hidden codes, symbols and ‘Easter eggs’ on each page of Push Comic’s works are the fun decoding/hunting games favoured by fans. One panel of a comic strip has limited space, but to Push Comic, it is an infinite world. Whether it is his previous, popular work Balézo or the latest, locally-inspired story Bamboo Windy Towns, every single panel of his comics is full of surprises. Push Comic (Ah Tui), moniker of a celebrated Taiwanese comics artist, is a man of many roles. He currently engages in multimedia creations and art toys, as well as illustrations and anything that is related to comics or popular street culture. His first book The Symbol of Taichi was published in 1985, notable works include Nine Lives Man and Balézo, the first Taiwanese comics launched in Europe in the 90s serialised in French comics magazine KAMEHA. 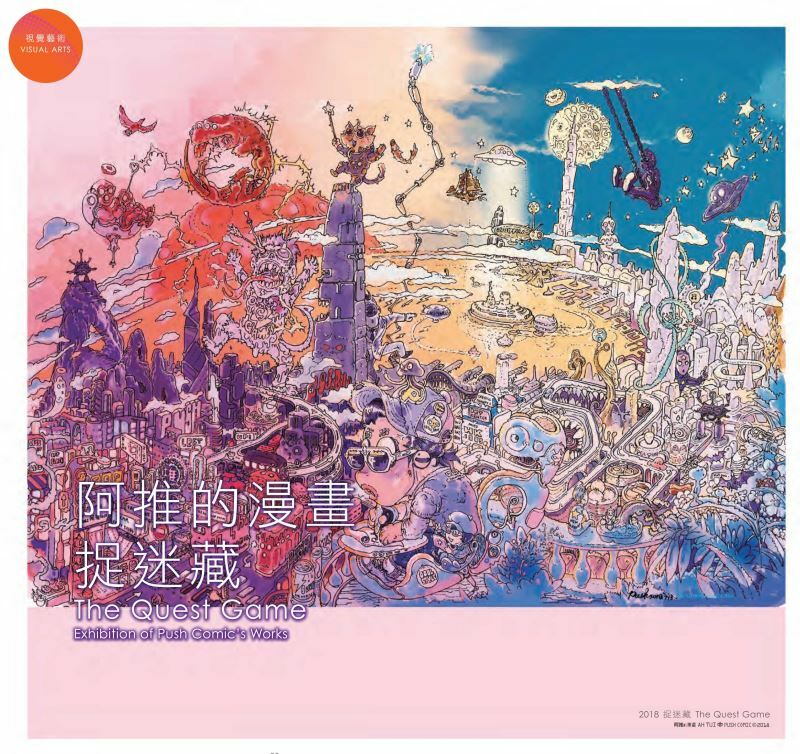 He is three-time representative artist at the Taiwan Pavilion of the Angouleme International Comics Festival since 2012.